Blogging is a really fascinating world that let you shine out bright by expressing your thoughts and offering the readers a great pool of knowledge. And with the advent of high-tech tools, blogging has become a supreme experience. But, while all these technical tools can be a great aid to start with, they can be quite intimidating for others. The numerous options that are there in the Market often leave you bemused as what to choose and what not? Luckily, most of these tools are free so you do not have to worry about the cost while choosing. 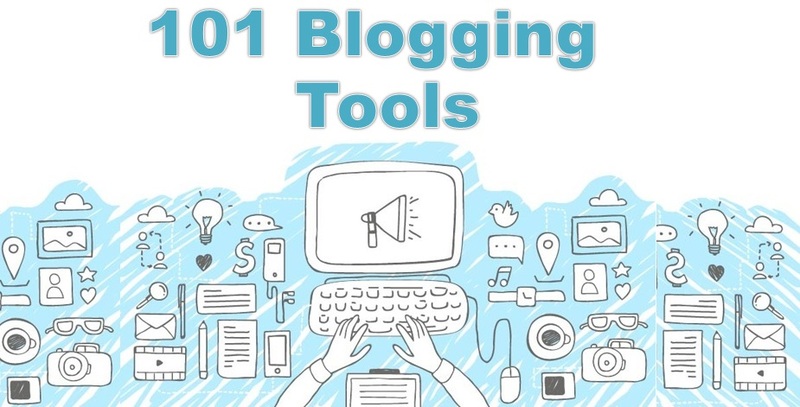 To help you in your blogging career, here is round-up of some impeccable blogging tools that you must pick for the best blogging experience. Here list of very basic software one should have before starting blogging career and some of them required for online earnings. There are many blogging platforms with better and easier user interface, but when compared to Word Press all these choices stand nowhere in the competition. WordPress is a one place solution to most of your blogging concern. While having too many features to start with can be hard for a new techie, considering the time investment, it seems all worth. With some tutorials, Word Press becomes easy to use and it is one of the best platforms that offer you to adapt to any updates or changes to your blog in the future. Most of the bloggers start with Blogspot but later switch to Word Press. It is better to start with Word Press or switch as soon as possible because changing platform affects your readers and thus you may lose a few of them. If you a person with many email addresses, the first thing you must do is link them all with your Gmail email id and enjoy the many benefits it has to offer. Yes, when you have a Gmail account you have access to free backup, labels, folders option, sorting emails and much more. This makes your email management effective. You can also add stars to your important emails. The best part, you do not have to change your email address even if you are moving out of the country. Evernote is a one point solution for capturing videos, images, text, voice notes, web pages and more. The app can be used with your android phones, iPhones and even on your laptops. All such notes can be used later at any time. It also has a search option which makes it easy and fast to search the info you want. So, now whenever you get an idea scribble it on Evernote and get going. If you have limited storage space on your device but have flooding data to compile, you must know about Dropbox. You can store all your data in Dropbox virtually. It offers you 2 GB of free storage option. 500 million people around the world are using dropbox so why are you exception. Do start use of this tool from today onwards. Here you will find list of all tools one can use to collect Email subscription and it will surely help you in getting repeat visitor. This is an excellent tool to keep track of your email subscribers. The application is free up to 2000 subscriber after which you have to pay a set monthly fee. MailChimp is an efficient app that apart from telling the number of subscribers also tells how many of the sent emails were actually opened. Aweber is one of the best autoresponder program which provides assistance for email marketing for any sort of business. It is used to keep the communication between prospects, clients and other employers. It gives you 30 days free usage and after that a nominal amount is to be paid to use it after that period. Here your problem related to searching platform for your web hosting get resolve. Find list of top web hosting sites. Hostgator is one of the leading domain names & the web hosting companies in India. It offers you many services including domain name registration, web design, web hosting, cheap website builder tools and more. You can opt any one of the three plans they offer- Hatchling plan, Baby plan, A business plan as per your needs. 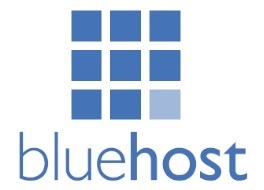 If you are looking for cheap yet reliable web hosting services, Bluehost is a name you must consider. They offer web hosting service at Rs. 199/ month. The website offers you access to unlimited domains, unlimited hosting space, unlimited bandwidth, unlimited email accounts. Go Daddy is the world largest cloud platform that is dedicated to individuals and businesses. They offer you web-hosting support along with website development, domain name suggestion, and other such services. The best part is they are very affordable and run sales on their services quite often. Thanks to Ryan Holmes for offering us this impeccable platform to manage social media. The Hootsuite dashboard helps you take control of your Twitter, Facebook, Google+, Instagram, LinkedIn, YouTube & more. There are two versions of the service, full & lite, you can choose according to your needs. It is a great social media management tool. It offers you access to Facebook, Twitter, LinkedIn using a single dashboard. It has an amazing RSS feeds option that helps you auto-tweet blog posts on your as well as other blogs. With the free version you get access to two RSS feed and with a minimal payment, you can get the paid version. Buffer App is a social media scheduler app that let you access the four major social media platform easily. You can post your content on Twitter, Facebook, Google+ & Pinterest. You do not have to schedule your post separately as the app offers you a one-time access to do so. The best part is, IT IS FREE!! Post Planner helps you to Find, Plan & Post best content on social media, boosting your reach and social media presence. It is an impeccable tool for bloggers who find social media management tricky. It helps you in Post queuing, targeting, linking with images, RSS feed automation, and trending content alert. If you wish to master Twitter marketing for your blog, there is no better way than adding ClickToTweet to your WordPress. The plugin helps you make ready to tweet content in your blogs. By following the step-by-step process you can add a number of tweets on your content that make your blogs hit over social media. Another paramount tool to use for your social media marketing, the SocialPilot software helps you to keep all your social media account updated. It helps you to publish, schedule a post, know the likers, shares, and commenters and also check the mon6itored conversations. Are you getting enough traffic? If not then hopefully you are not using keyword efficiently. So here we are providing you list of tools which provide you planning and research of keyword. Keyword planning is very important to attract traffic to your website. So, what are your plans for this? What? You did not think about it? Such a blunder you were about to make. Luckily, there is a tool that helps you instantly. Google’s Keyword Planner is the best way to form keywords. You can also view the historical ideas and generate the future forecast. You need a keyword planner to boost the SEO rating of your content and when it is directly from Google, there is nothing best than this. It is a free tool that offers you suggestions of what keywords are the best for your specific business. If you want your content to be in top search list of every search engine you better start using SEMrush. It offers you complete assistance, just like an SEO professional. You can search keywords, run technical audits, position tracking backlinks audits & other analytics support. If you need some profitable long tail keywords that drive you immense traffic and a boost in ranking if so, Long Tail Pro is the best tool. You need to buy its premium version that will cost you around $47/month but trust us, the money you pay is all worth as the software offers you amazing results. Quora is the best tool to gathering information. There are thousands of quora members that have most authentic and valuable information to offer. You can search your query in Quora and there will be immeasurable information to read and use. We might be late to discuss this but it is always late than never. The Blog Topic Generator is one app that you need to use the first thing while writing the blogs. This application helps you generate ideas fast especially when you are suffering writer’s block. All you need to give is a rough idea of your forum and there you have, a week’s lot of juicy blog ideas. Dragon Dictation App:If you are not much fond of typing you can use the ‘Dragon Dictation App’. This is a speech recognition software that identifies your speech and converts it to text to compile a text document. You can get the Dragon Naturally Speaking Premium and have easy time speaking and writing. The free version of the app is also effective but it has certain limitations, However, it comes handy when you want to write quick messages or conversation on your cell phone or tablets. Grammarly- No matter how impeccable writer you are, some time may be because of overload, stress or shortage of time, you can commit mistakes. And if you do so with your content, there is no forgiving for the blunder. Writing an effective blog post involves 80% editing. To refine your content and make it grammatically sound and perfect, you need an incredible proofreader. Grammarly comes to your rescue. It is the best tool available in the market that helps you get grammatically sound content. You can take the free version it offers you many features including grammatical correction, prepositions use and more. However, with the premium version, you get much more. It offers choices for worldliness, synonyms, passive voice and sentence fragment edition. Hemingwayapp –This website is made for the publicity of the hemingwayapp. This particular apps highlights lengthy sentences and errors in them and various other editing feature. The website also offers a desktop software for a price of $ 19.9 which is almost the best deal. Duplichecker is one of the online content checking tool which enable user to detect plagiarism. It simply provides you options to check by copy paste or uploading a document. It is a free tool usually and doesn’t charge you for its services. Copyleaks is an advanced tool based on cloud platform providing you options to track and trace various contents over the web. In short it is an online plagiarism checker and detector. It is a free tool for individual use but provide certain pricing for business purpose. In order to get ahead of your competitor, you need to analyse their site. You need to check how they are growing and what steps they are taking so you can take appropriate action. Wayback Machine enables user to see and capture or manage webpages as they are in previous time. you can also say that you can see the past of the website in it. It is a free app which gives you detail about the website past. You can also use this tool to analyse competitor site like how they grow and what they have made changes. WhatRunsWhere is an intelligent service which offers you to keep tabs what is where. This intelligent service enables you to track the advertisers online, competitors’ advertising strategies and where there adds are displayed. It is a paid app you can try it for 1$. Buildwith is a tool which enables designers, developers and researchers to know what technologies are implemented in another website or webpage. This would help designers and developers to decide which technologies they should use. It’s a paid app however sign in is free but you have to pay to use it. Uptime Robot is a app created so to check your websites are working fine and efficiently. It can check a website in every 5 minutes and produce a diagnostic log which helps you to correct errors. It provide few free monitors and paid many monitors per day. Hey!! don’t use any image directly from Google images and if you are doing this means you are violate copy right law of image. So better to take image from free resource. Here list of top sites where you will easily get Free stock image. Pixabay: If you want your content to be appealing, you must add some relevant pictures to it and for this, there is no better place than Pixabay. The website offers you a pool of high-quality stock photos, illustrations, film footages & graphics as per your need. Freepik: Another great website offering you a multitude of free pictures, icons, images, vectors, graphics and more. The images available on the website are of high-quality & match your needs exactly. Unsplash : Unplash offers you free high-resolution photos. It also offers you a personalization option to refine your search. As you offer your area of interest and need to the website, it offers you suggestions accordingly accentuating the whole process of finding the best picture for your blog. Pexels : Pexels make your trending photo search easy and fast. You can find images of people, work, nature, lifestyle and more at Pexels with great ease. The website also offers you videos & GIFs as per the latest demand. Picjumbo : From technology to business to people to food & more, Picjumbo has everything you might need to add a visual impact to your blog. It also enables Photo redistribution which enhances your chance to get some amazing pics completely free. IMFree : As the name suggests, this is a free site to search best images for your blog, They offer a variety of images including that of people, men, children, women and more. You can also get free icons & templates on this website. Freeimages is an easy access to royalty free images. The website boasts of having over 390080 photos of fashion, lifestyle, people, families, animals, pets, religion, automobile and more. There is also a premium photo category where you can access an excellent collection of premium quality photos. Google Analytics: Another blessing from Google, Google Analytics help you in managing your blogging business. It offers you the facts and figure related to blogs like, which blog was most popular and from which website did I get the maximum traffic. It also offers data related to reader demographics, site statistics, etc. This data can help you in the business building as you offer the advertisers and sponsors with real-time facts. Original content is the key to success while blogging. Not only it adds life to your content but it also saves you from any legal complication. So, you must ensure that you have 100% original and plag free content. For beginners, Smallseotools is a great tool. It not only highlights the plagiarized content but also offers the link to the source from where it has been copied. Ahrefs is well known app or tool which Is used for seo analysis and searching backlinks. It can help you to use better keywords for online marketing. It is a paid app but provides you free sign in option and few uses. Without a great logo, your blog fails to do the magic. As you are a beginner you must start with Canva, which is a free logo creation application. You can thus create a unique identity for your brand. Meme Generator is an online free image maker that enables you to add any customized text to the images. It works on HTML5 if supported, images are created in real-time. it helps in decoration of website and marketing stuffs and good thing its free. freelancer.com is one of the most famous website portal for freelancers. It has provided a global online platform to various people who can outsource their work from home. It provide mostly every type of service from content writing to website development. fiverr website is an online marketplace for various services which are provided by them to other ecommerce and website users. The website also provides an option to do freelancing. The freelancers can also join and get work from there. This is a one place which can guarantee you best quality content with SEO optimization keywords. The contentmart has given platform to freelancers to work and get paid for it easily. Contentmart provide 100% plagiarism free content for your specific websites or business. 99designs.com is one of the best design website out there from which you can appropriate design for your website. It also provides an online platform for free lancer’s designer to auction their services. This website is all about eyes appeasement which will boost your business. It is the top most you can even say the best affiliate marketing provide all across the globe. The services provided by them are really good and efficient. There are many varieties of online marketing service which CJ Affiliate provide. Sharesale had been from past many years an affiliate marketing platform service provider. It provides accuracy and efficiency in its services. Sharesale has many brands associated with it. Sharesale gives great opportunity to new products manufacturers. Peerfly is an affiliate marketing website which gives an option to pay according by implementing CPA Cost Per Action. Peerfly is one hot destination for online merchants and sellers. It is a small company and also very efficient with dealing clients need. Here mention all tools will help you out in recording screen, adding test , creating video slides and create video easily. It is a great tool to create video tutorials and walkthroughs this also provides you with all the video editing options. It can be used to create advertises. It is usually a paid tool but you can download the trial version for an idea of working. It is the one of the smart ways to manage your digital marketing, advertisement and make your online business grow. It can boost your business and can give it new dimensions. It provides protection against Fraud and is sleek intelligent and gives a huge performance boost. Hope, all these tools help you start a great blog and if you have a blog already, help you in adding value to it. Happy Blogging! !